Just over a year ago, Bell launched Alt TV, a live streaming service to watch TV channels from any device, without the need for a set top box or cable subscription. The only requirement? Bell Fibe Internet. 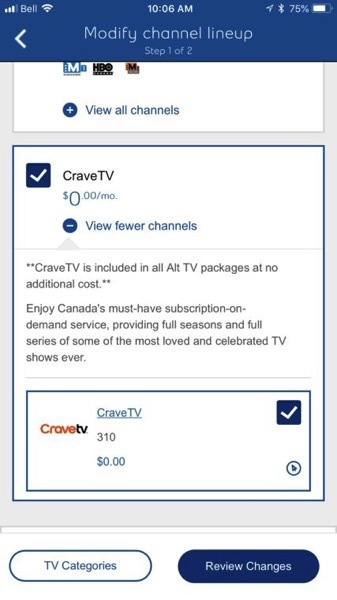 Now, it appears Bell is offering its streaming service CraveTV for free for one year with Alt TV, as noticed by a subscriber of the latter on RFD, which noticed CraveTV added to their account for $0. This package, along with basic Alt TV, works out to $24.95 per month. Throw in free CraveTV for a year, and that’s actually not a bad deal for live TV including sports. After the one year trial of CraveTV, users will be paying regular price for the service. Bell’s Alt TV is available in Ontario and Quebec and is available on iOS, Android, Apple TV, Amazon Fire TV, Android TVs and the web. 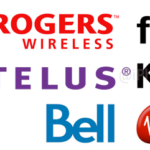 Update: clarified package above was for Ontario and Alt TV also available in Quebec.